Single exhaust system, with removable grid to facilitate cleaning operations. The grid is adjustable so as to ensure the perfect alignment with the water surface. The increased size of the grid help the passage of the water flow by ensuring flow rate and noise level. 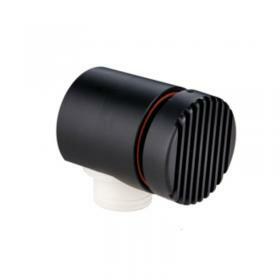 The lower connection is usable both as a hose for hose D50, either as a sleeve for male bonding femmina D50 fittings.